Mention promo code "Ship0116" to get free ground shipping on orders of $100 or more at Banners.com. Hurry, this offer ends on January 29, 2016! 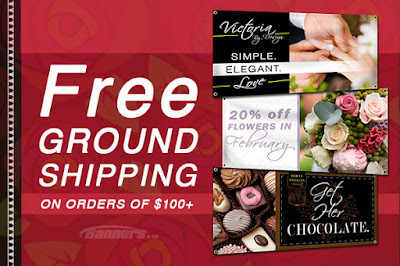 This free ground shipping discount is valid on all products from vinyl banners to banner stands. Visit our website to get started on your order.